Whey protein is extracted from cow’s milk and is the most pure form of protein. When you make cheese from the milk, you get whey protein as it by-product. it has high protein content and has lots of health benefits. Whey protein powder is also a good cleanser, toner and moisturizer. It is an important component in many of the cosmetic products. Collagen is essential for maintaining the elasticity of your skin. About 30% of the protein in the body consists of collagen and keep the skin, blood vessels, bones and the teeth strong. By taking whey protein regularly, you can ensure that your body gets enough protein to keep your skin healthy and firm. The amino acids present in whey proteins are also beneficial in keeping your skin firm and elastic. Whey powder has antimicrobial properties and is good for treating pimples and acne. Whey protein helps in rejuvenating your skin. Add 2 cups of whey powder t the water in your bath tub and sit for 20 minutes. This is great for rejuvenating your skin. You may use whey powder instead of using shampoo. Rub whey powder on the scalp and massage well. Then rinse off with lukewarm water. This will make your scalp clean and oil free. You can also use it after shampooing your hair. Rub it on the scalp and wash off after 10 minutes. This will improve the texture of your hair. Hair is made up of protein and so it forms an important part of hair. If your body lacks protein, you will suffer from hair loss and other such problems of the hair. Having whey protein regularly helps in increasing the protein in your diet and prevents hair loss problems. Whey protein shakes are beneficial in preventing falling of hair in patches and receding hair lines. On taking whey proteins regularly, you will get thick and healthy hair which is also shiny. It also makes your scalp healthy as it has acidic properties that help in preventing dandruff and psoriasis. Whey protein is a rich source of amino acids and help in repairing the muscles, bones, organs and tissues. You need a specific amino acid to perform a specific function. Whey protein containing Branched Chain Amino Acids (BCAAS) is needed for the repair of muscles, while leuciune is the amino acid need for protein synthesis and storage of amino acids. Whey protein is rich in the antioxidant glutathione, which destroys free radicals and saves you from signs of ageing. Whey protein is made by the combination of three amino acids, which are glutamic acid, cysteine and glycine. Whey protein is also good for slowing down the degeneration of muscles and provides you strong and healthy muscles when you grow old. Many women suffer from osteoporosis, which a condition that leads to bones getting thin and brittle. Whey protein contains high amounts of calcium that is needed to prevent such a condition and keep the bones strong. Death due to breast cancer and cervical cancer is very common in women. Whey protein and glutathione modulations help in the treatment of cancer. Whey protein can control the growth of cancer cell when you undergo chemotherapy. It makes an ideal meal for cancer patients as it is easy to digest, nutritious, gets easily absorbed by the body, increases immunity and also provides more energy. Whey protein shakes are best for the health and has the highest Biological Value. 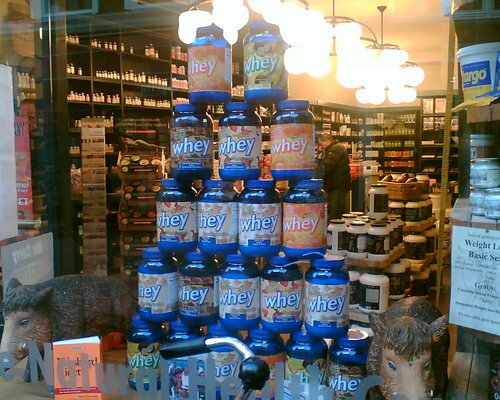 Soy, casein or whey is the nutrient found in whey protein shakes. The body can easily digest and absorb it. Whey protein is good for women who have had surgeries as it helps in healing the wounds and gets absorbed by the body easily. Heart stroke may often cause paralysis, poor memory and loss of speech. It is one of the main causes of death in women. Whey protein helps in lowering the levels of LDL or bad cholesterol in the body and also reduces blood pressure. This way it helps in reducing heart strokes and other heart diseases. Whey protein is especially good for women. Unlike other proteins, whey protein does not cause any changes in hormone levels. It is the richest of proteins and also the most soluble form. Its nutritive value is much more than egg whites, meat and soy. Women need enough protein to have healthy nails and skin. Whey protein, which is rich in proteins, helps in supplying the necessary protein to the body and helps you to maintain healthy nails and skin. Whey protein helps you fight against infections by increasing the immunity power of the body. It increases the production of glutathione in the body, which is a strong antioxidant and helps in removing all toxins from the body. Women suffering from asthma get relief by consuming whey protein as it enhances their response towards cytokine. The functioning of the liver is also greatly improved by taking whey protein in moderate quantities. Liver needs amino acids for functioning efficiently. Your body muscles get weak due to exercises and workouts. You can repair and make your muscles strong by consuming whey protein. It also tones your muscles and increases the metabolism, giving you a well toned figure. According to studies made, women who consumed whey protein lose more fat from the body and also had leaner muscles. Whey protein is ideal for people on low carbohydrate diet as it is low in carbohydrates and has high content of protein. It enhances the metabolic activities of the body and helps in burning excess fat that accumulates in the body. It is low in cholesterol, fat and lactose and can help you control appetite for about 2 hours.